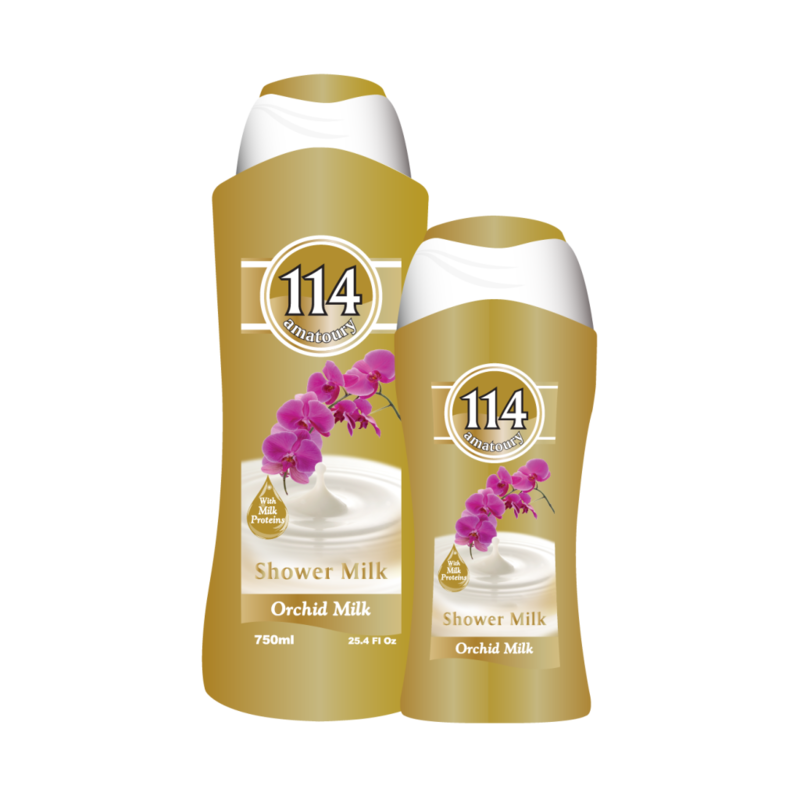 114 Shower Milk gives a rich and creamy luxurious lather that gently cleanses your skin. It is infused with natural extracts and milk proteins to nourish and moisturize your skin, leaving it soft and silky all day long. Its delicate sensual fragrance will delight your senses and make you irresistible. 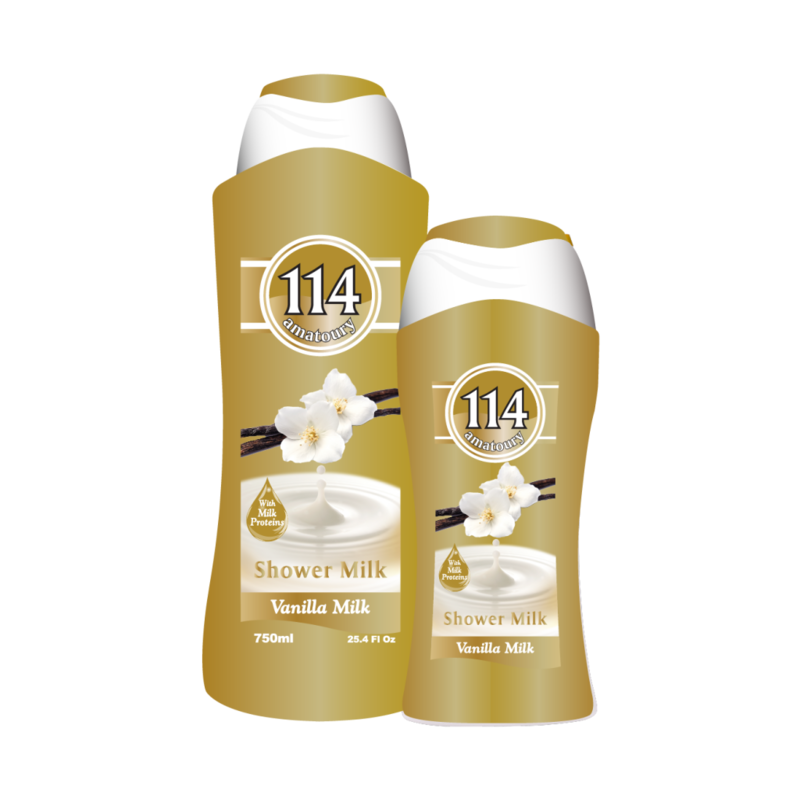 114 Shower Milk gives a rich and creamy luxurious lather that gently cleanses your skin. It is infused with natural extracts and milk proteins to nourish and moisturize your skin, leaving it soft and silky all day long. Its delicate sensual fragrance will delight your senses and make you irresistible. Dermatologically tested. An intensely moisturizing addition to the Bain Douche line of shower gels, our shower milk features a luxurious milky texture and a deep hydrating function. Made from top quality ingredients we handpick from our European suppliers, this shower milk will surprise you with its rich foam and everlasting fragrance. Concentrated in milk proteins and infused with honey, bothknown for their moisturizing properties, our shower milk leaves your skin moisturized and heavenly scented for hours. Aqua, Sodium Laureth Sulfate, Cocamidopropyl Betaïne, Lauryl Glucoside, PEG-7 Glyceryl Cocoate, Cocamide DEA, Glycerin, Sodium Chloride, Perfume, Divinyldimethicone/Dimethicone Copolymer, C1213- Pareth-23, C1213-Pareth-3, Styrene/Acrylates Copolymer, Honey (Mel), Pentylene Glycol, PEG-40 Hydrogenated Castor Oil, Trideceth-9, Sine Adipe Lac, Decylene Glycol, 1,2 Hexanediol, Polyquaternium-7, PEG-3 Distearate, Methylchloroisothiazolinone, Methylisothiazolinone, Tetrasodium EDTA, Benzyl Benzoate, Hexyl Cinnamal, Amyl Cinnamal, Limonene. MAY CONTAIN: CI 19140, CI 16035, CI 45190, CI 17200, CI 42090. Concentrated in milk proteins and infused with honey, both known for their moisturizing properties, our shower milk leaves your skin moisturized and heavenly scented for hours. Aqua, Sodium Laureth Sulfate, Cocamidopropyl Betaïne, Lauryl Glucoside, PEG-7 Glyceryl Cocoate, Cocamide DEA, Glycerin, Sodium Chloride, Perfume, Divinyldimethicone/Dimethicone Copolymer, C1213- Pareth-23, C1213-Pareth-3, Styrene/Acrylates Copolymer, Vanilla Planifolia (Vanilla) Fruit Extract, Pentylene Glycol, PEG-40 Hydrogenated Castor Oil, Trideceth-9, Sine Adipe Lac, Decylene Glycol, 1,2 Hexanediol, Propylene Glycol, Polyquaternium-7, PEG-3 Distearate, Methylchloroisothiazolinone, Methylisothiazolinone, Tetrasodium EDTA,Linalool, Hexyl Cinnamal, Coumarin, Limonene. Concentrated in milk proteins and infused with orchid extracts, both known for their moisturizing features, our shower milk leaves your skin moisturized and heavenly scented for hours.